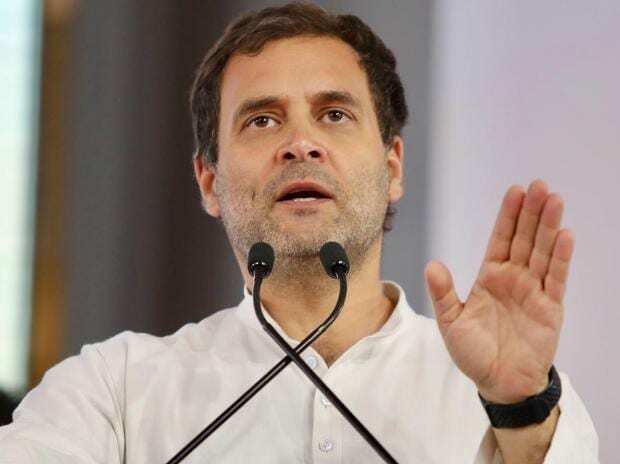 Congress President Rahul Gandhi Friday reiterated his 'love' for Prime Minister Narendra Modi but bemoaned that the latter has only anger towards him. Gandhi was interacting with students in Pune. "I love PM Modi. Genuinely, I have no hatred or anger towards the man, but he (Modi) has anger towards me," he said. "I genuinely do not have anger towards him, he added. This was not the first time Gandhi spoke of having 'affection' for Modi. In March, he recalled the day he had hugged Modi and said he could not hate him since love "is in the country's grain, every religion, and the Tamil people". He made those remarks while interacting with students of a college in Chennai. When a student asked him why he chose to hug the prime minister, Gandhi had said he had watched a 'very angry' Modi in Parliament running down his party, his late father Rajiv Gandhi and mother Sonia. After a fiery speech in Parliament in October last year, Gandhi had done something unprecedented: He had walked up to Modi and hugged him, leaving the PM bewildered for a moment. Gandhi also told the students at Pune that his sister Priyanka Gandhi Vadra was his "best friend", adding there can be no fights with her. Gandhi said he has seen a lot of violence affecting his family and refereed to the assassinations of former Prime Ministers Indira Gandhi and Rajiv Gandhi. He gave an insight into his rapport with his younger sibling, who formally entered politics a few months ago, and childhood memories. "My sister has been my friend and we understand each other well. If there is a situation of argument, sometimes she backs off and sometimes I do.